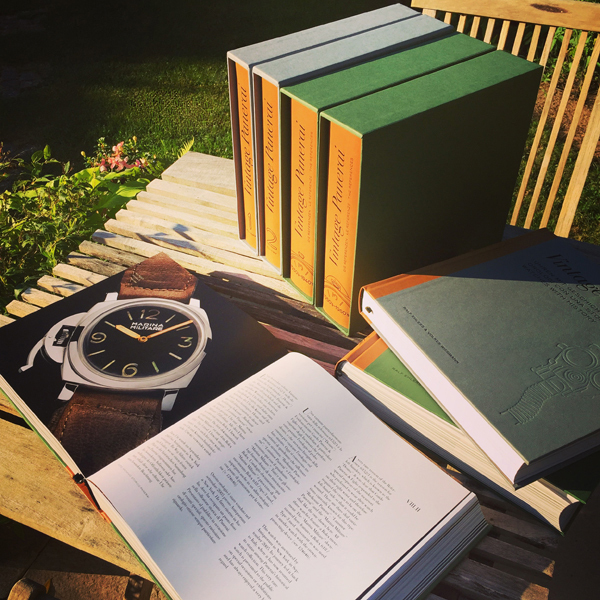 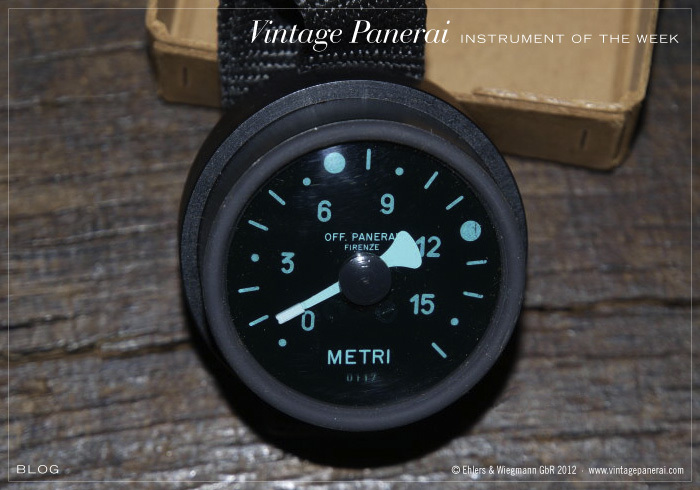 A late version of a 16 meter depth gauge made by Panerai. 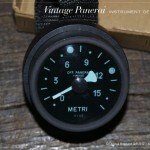 The diameter of the case is 70 mm with a height of 45 mm. The lower part of the case is made of black plastic, the upper part is made of black rubber.